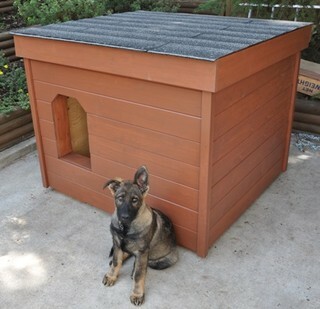 Police Dog Houses is proud to show some of the completed dog houses that have been sent in by customers who have completed their dog houses using our Police Dog House Plans. 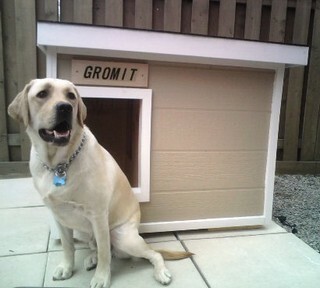 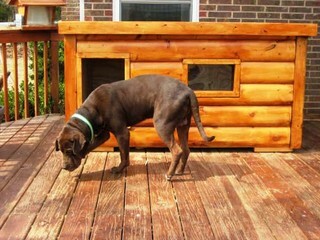 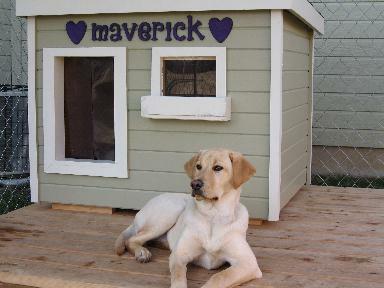 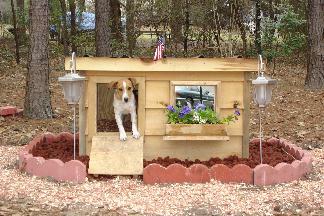 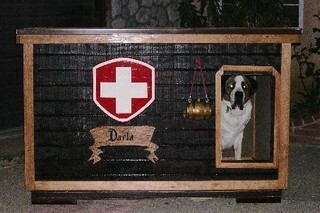 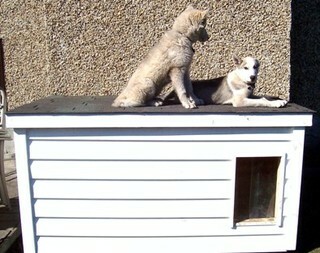 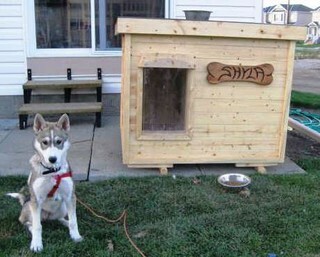 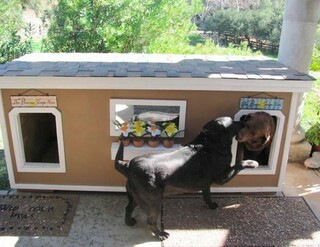 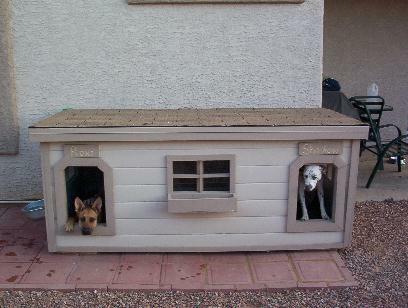 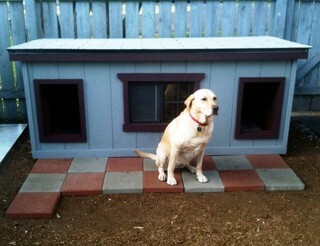 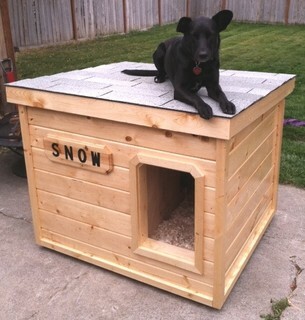 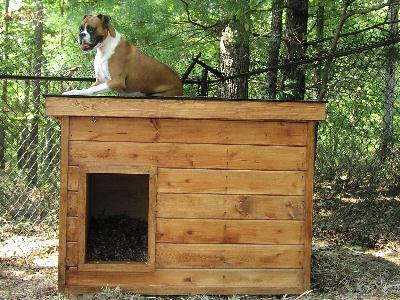 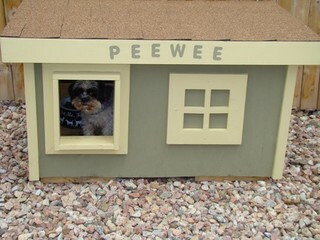 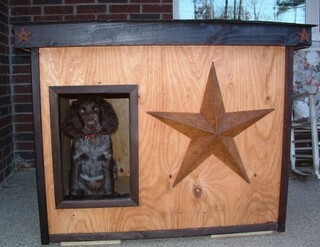 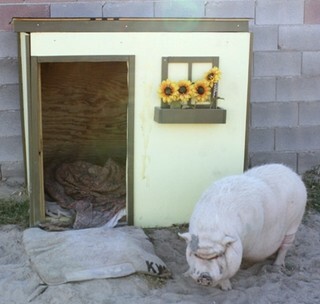 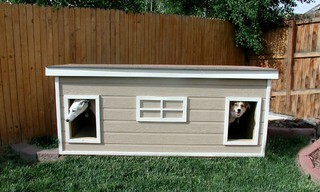 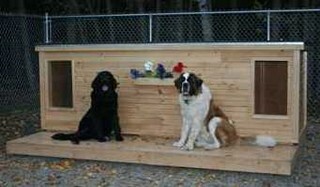 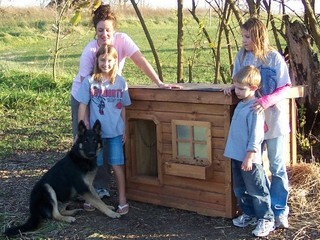 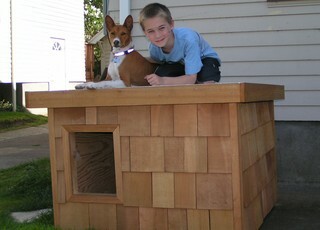 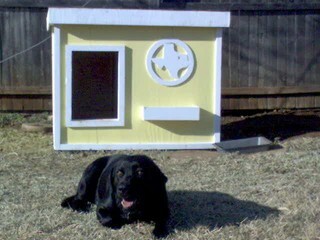 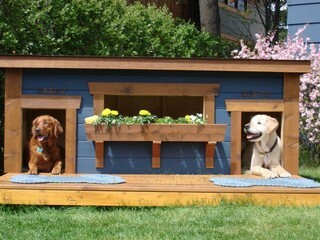 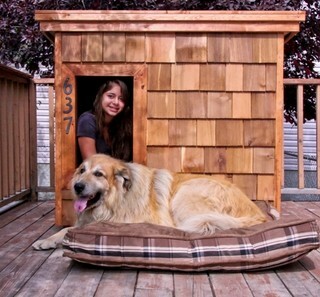 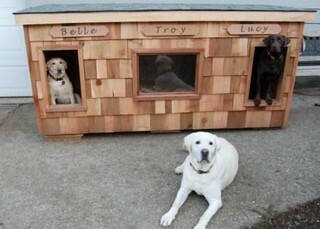 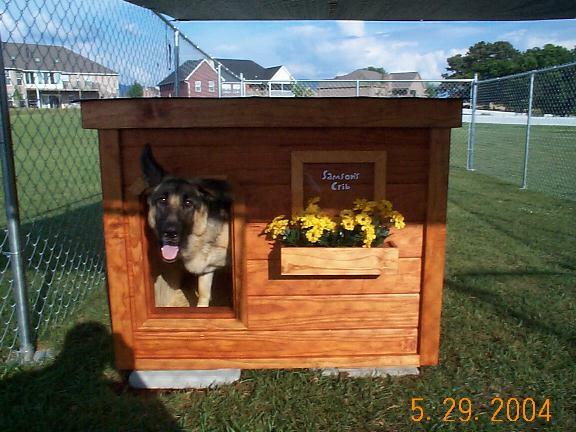 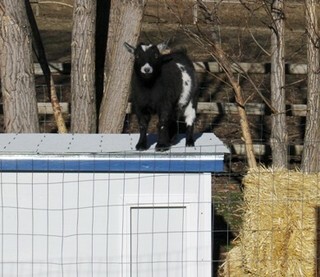 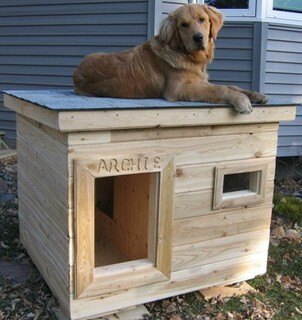 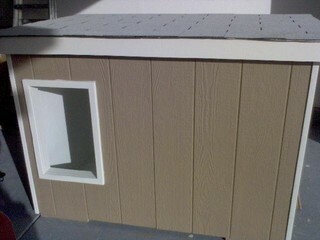 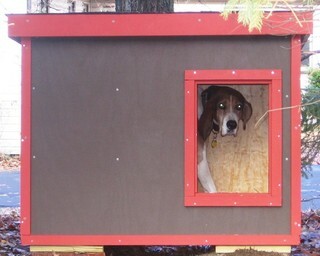 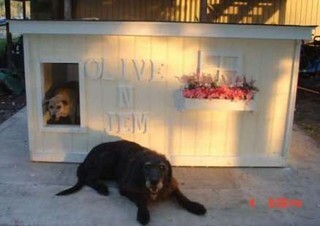 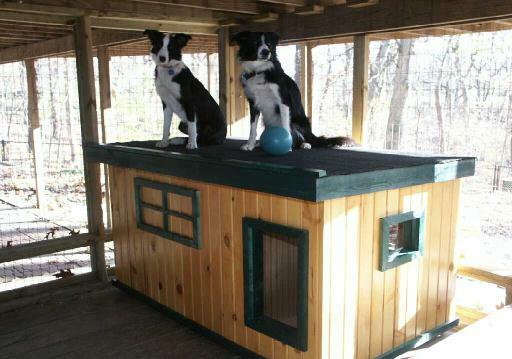 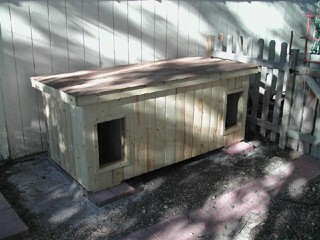 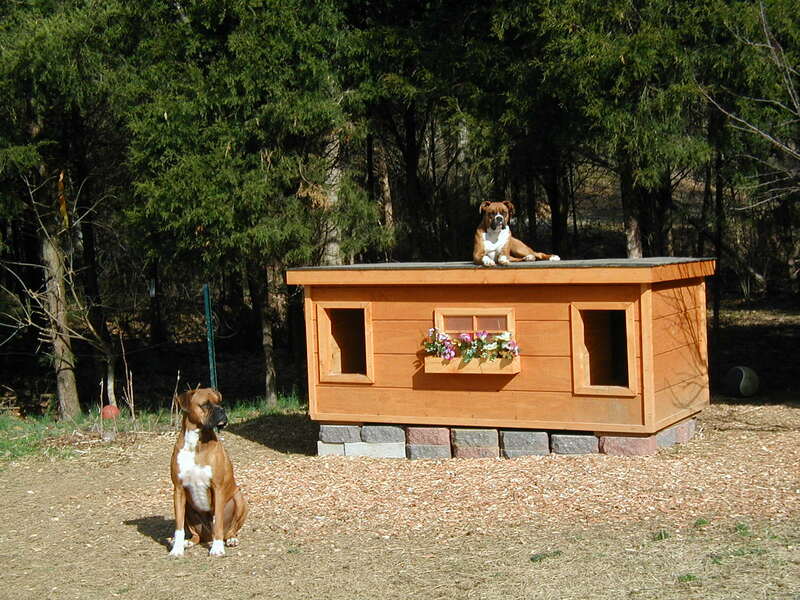 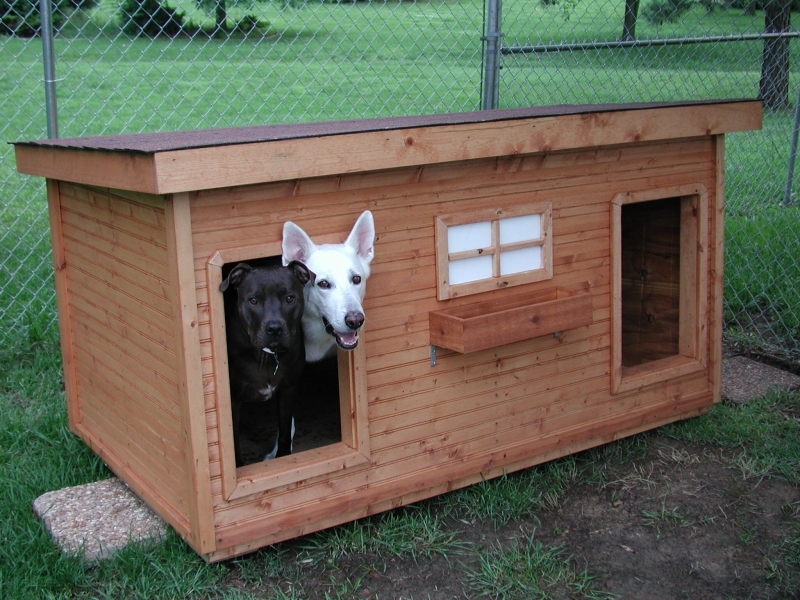 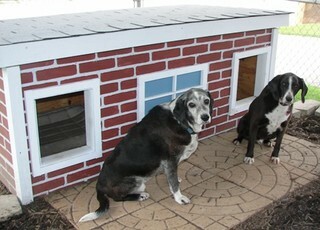 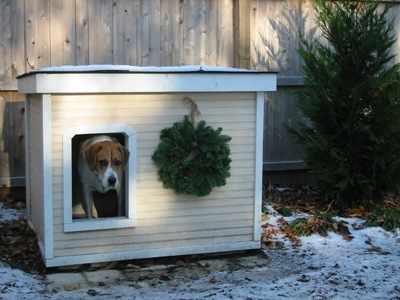 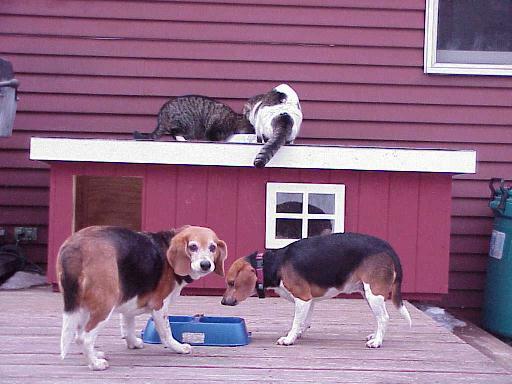 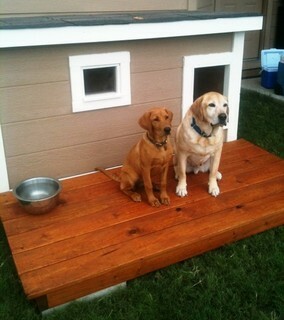 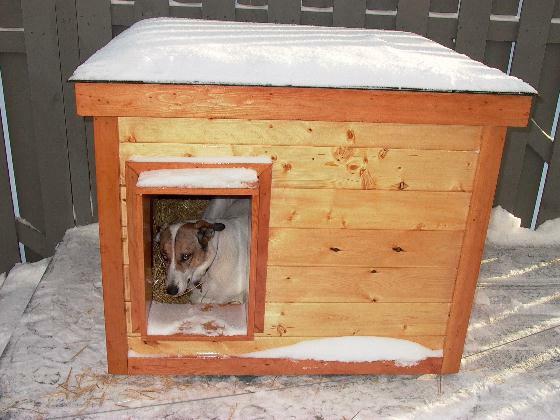 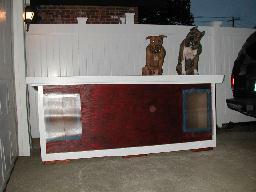 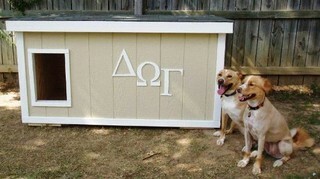 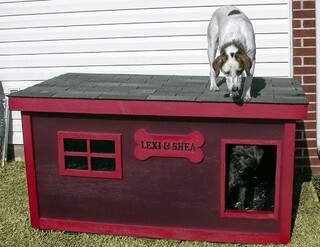 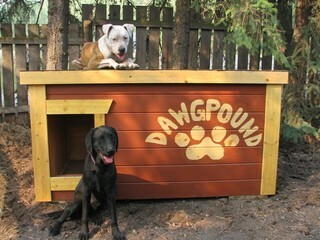 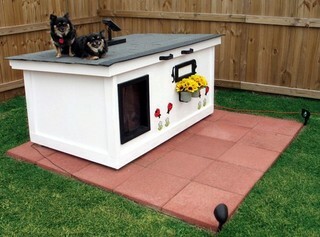 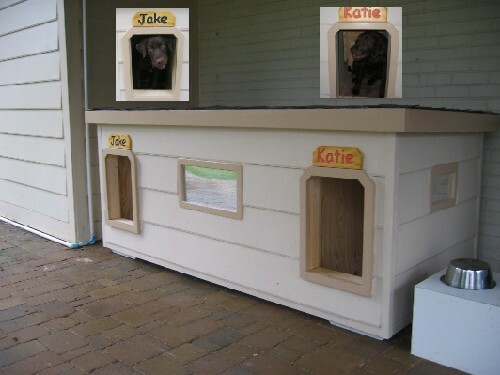 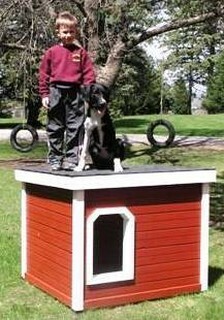 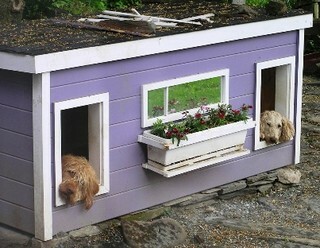 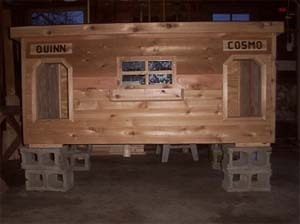 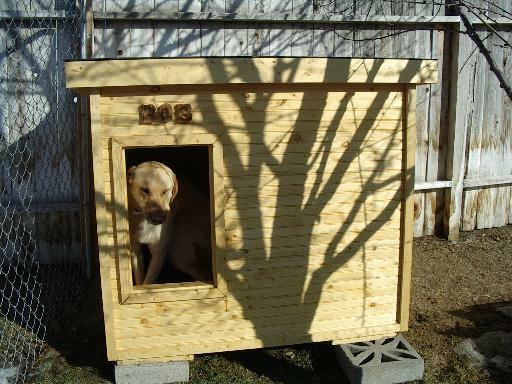 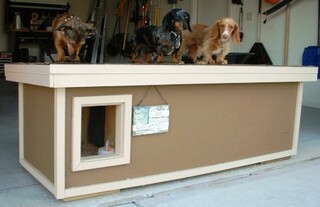 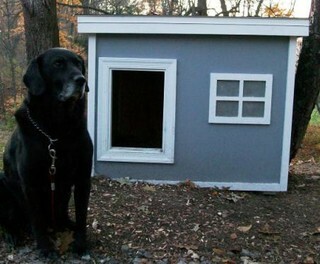 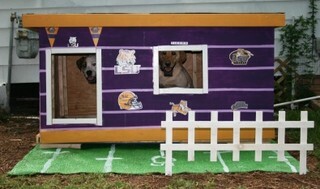 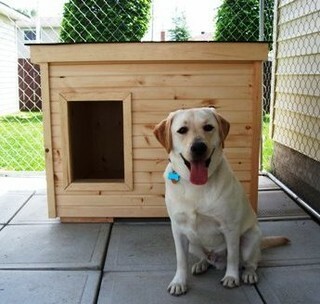 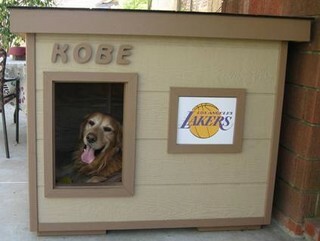 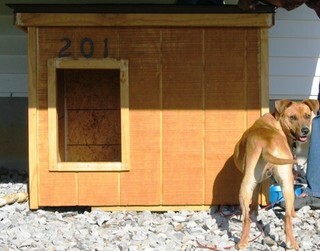 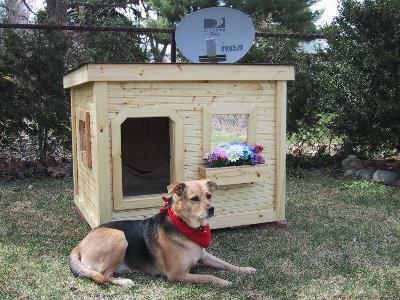 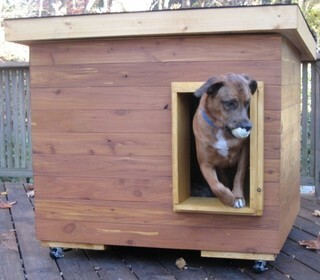 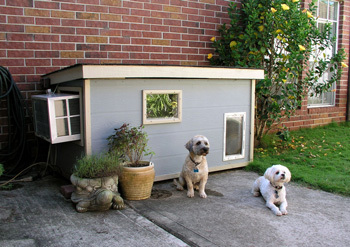 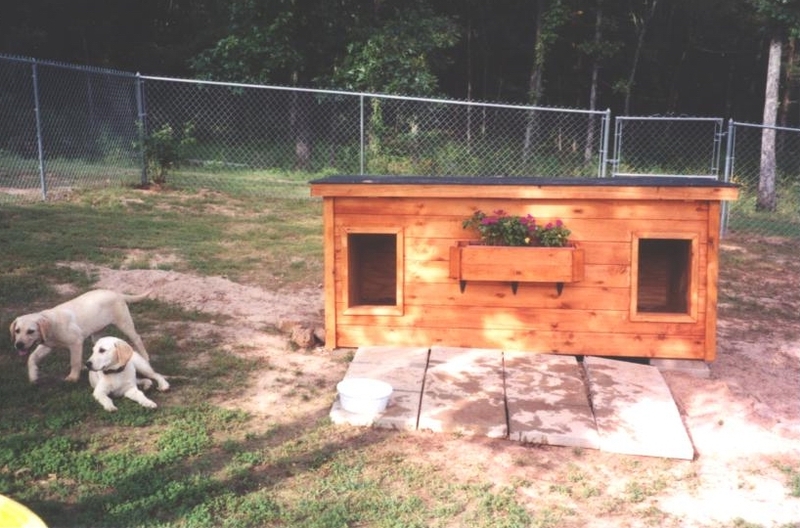 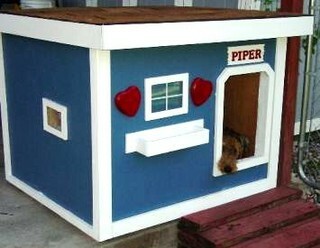 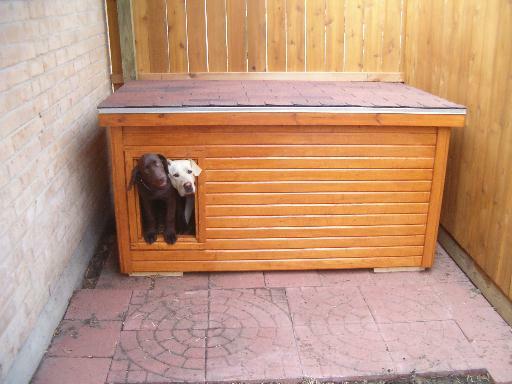 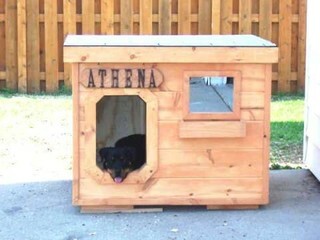 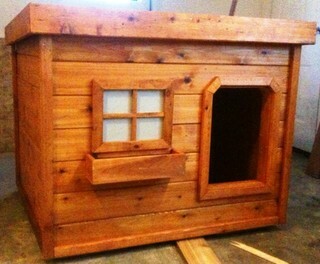 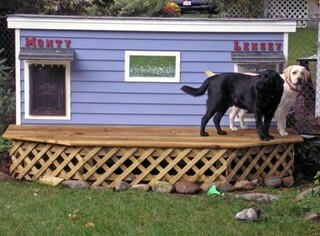 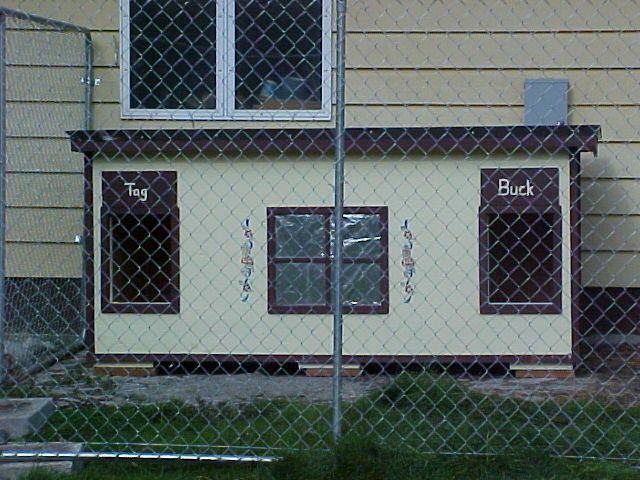 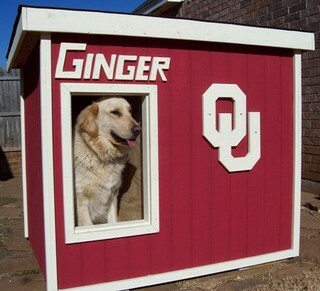 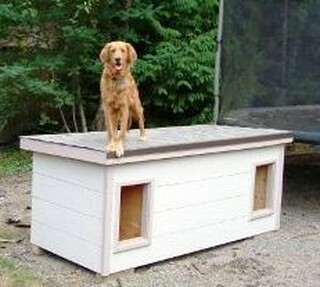 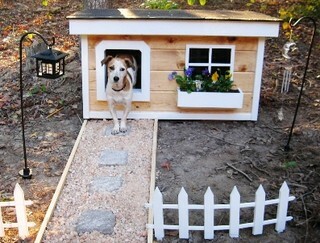 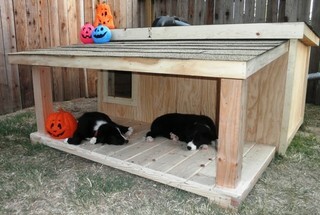 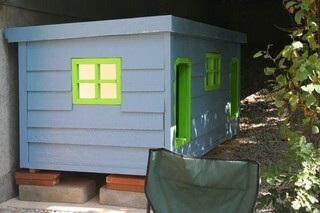 Each person has put their own finishing touches on their dog house. 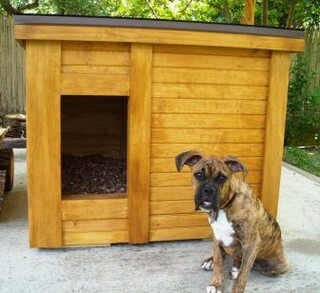 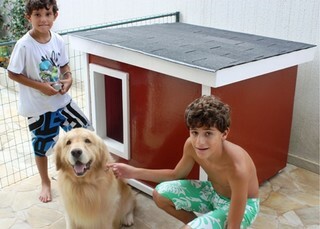 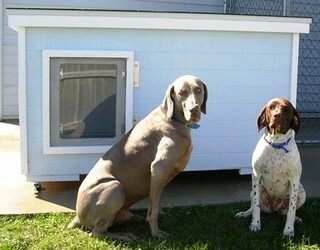 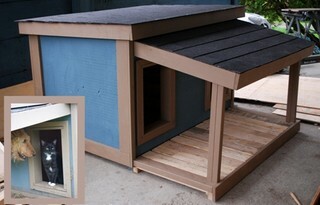 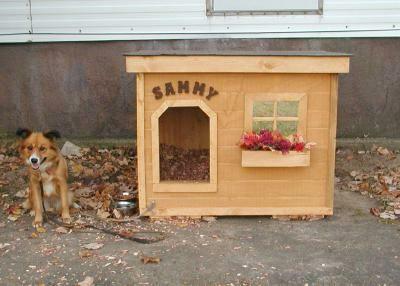 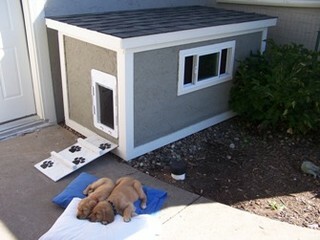 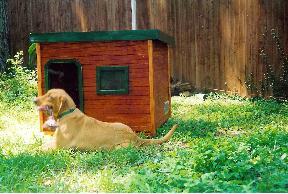 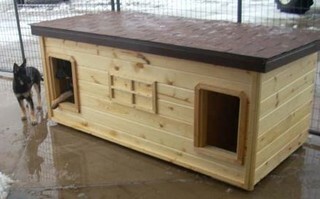 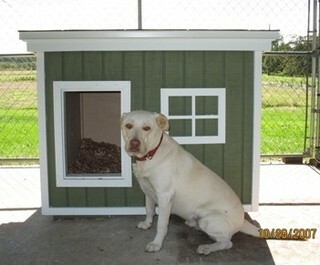 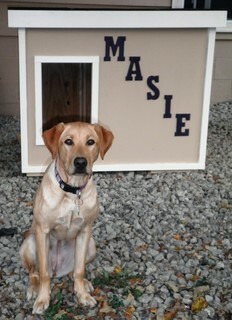 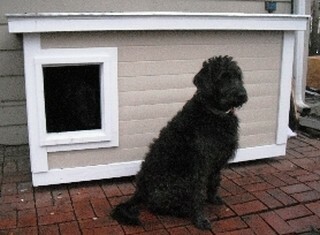 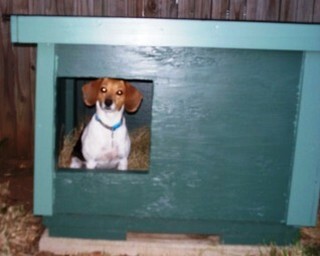 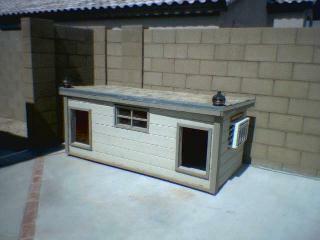 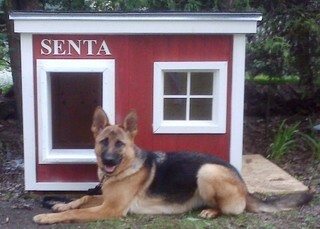 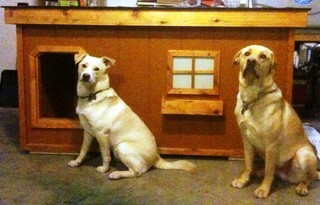 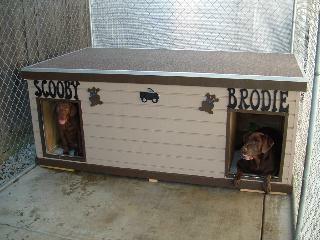 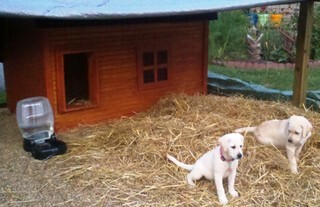 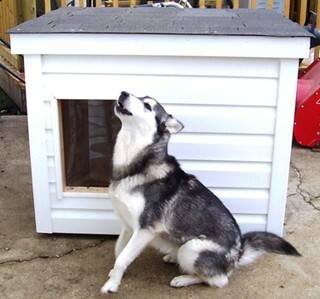 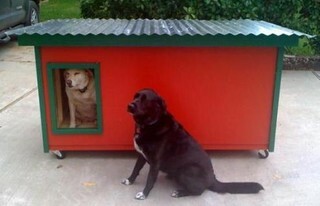 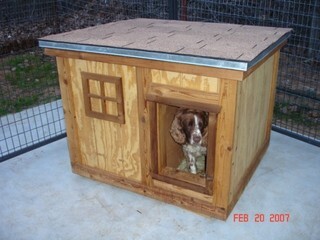 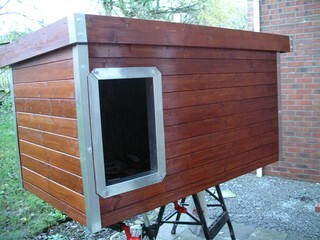 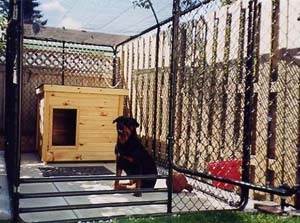 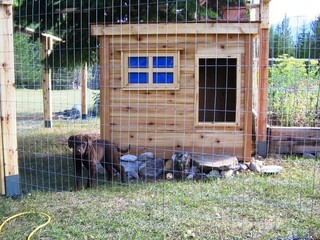 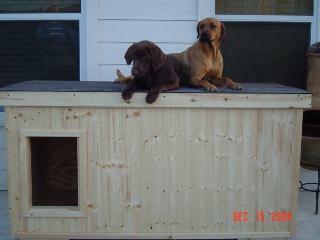 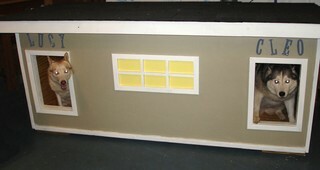 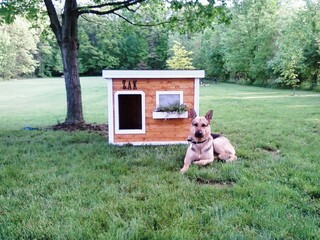 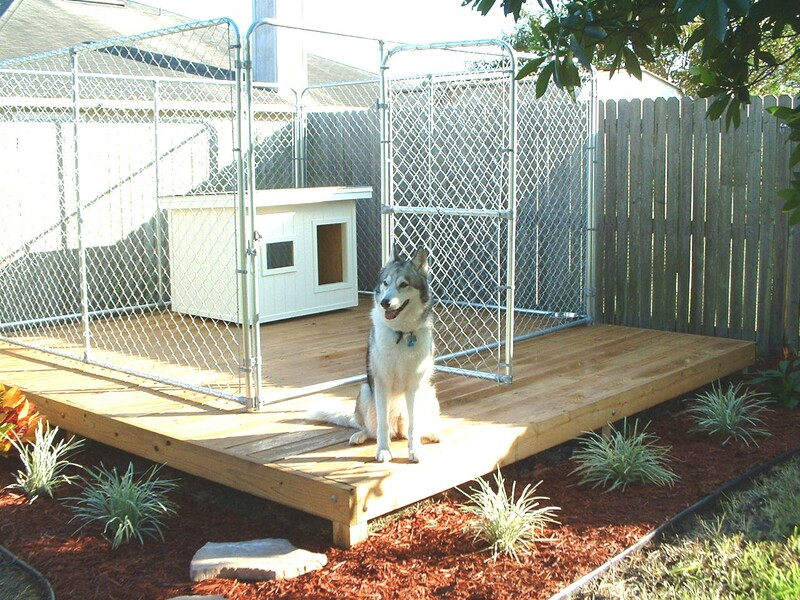 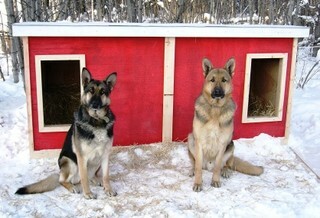 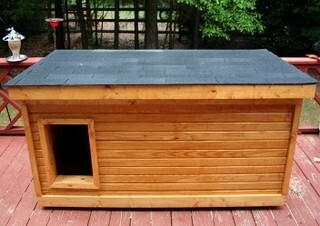 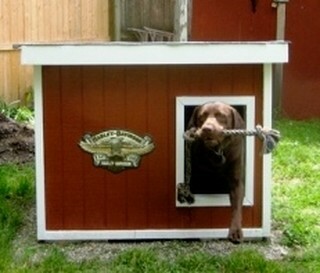 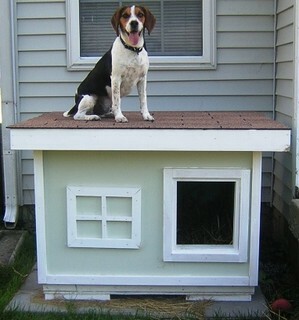 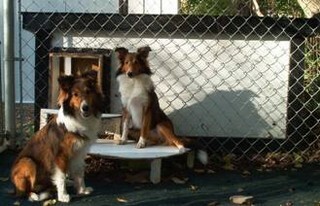 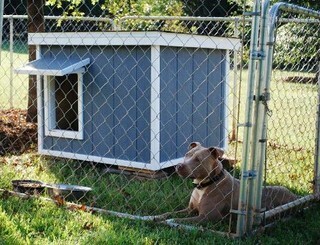 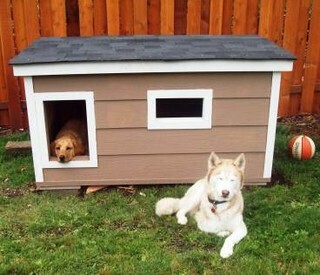 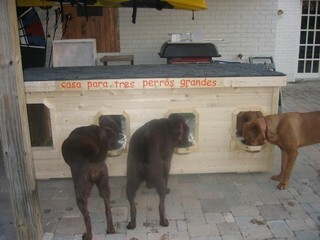 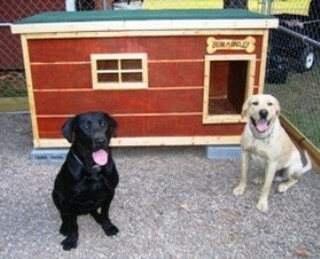 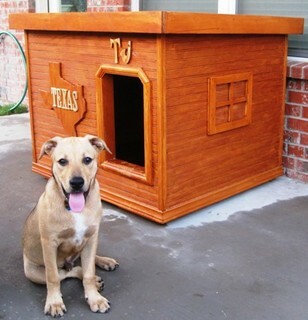 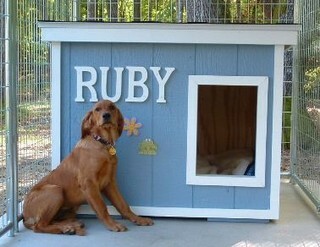 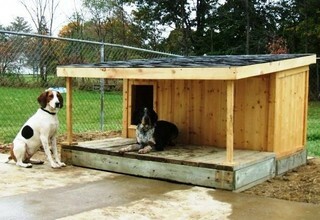 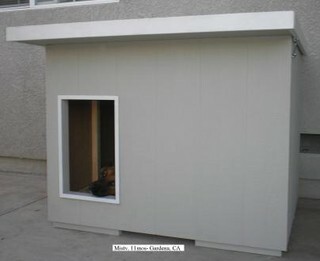 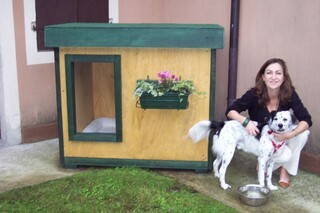 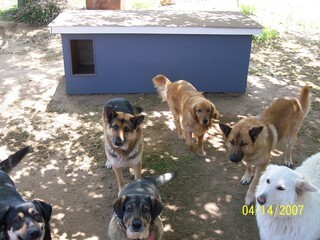 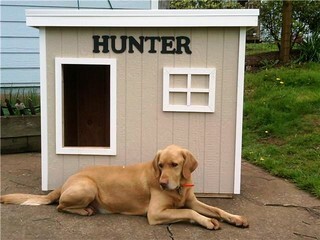 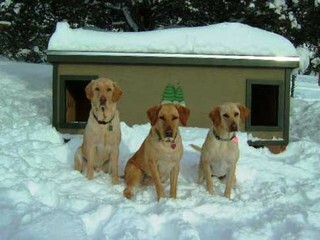 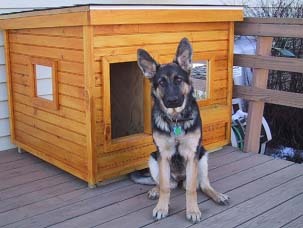 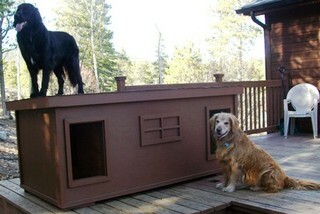 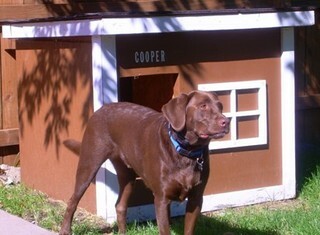 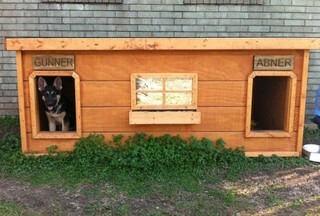 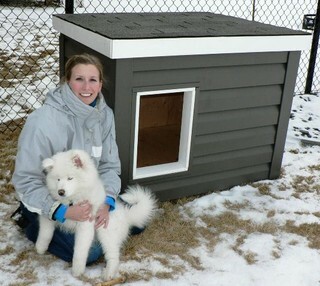 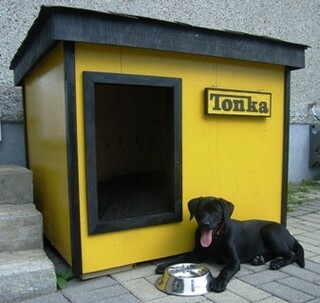 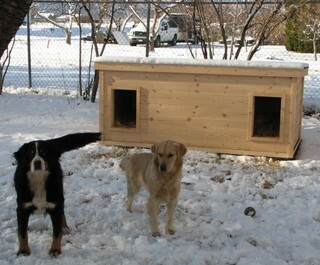 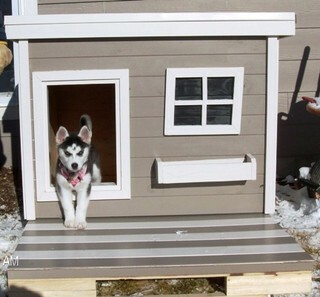 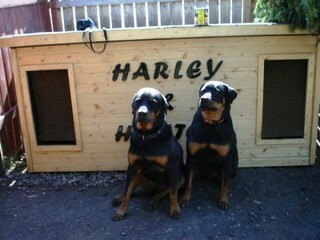 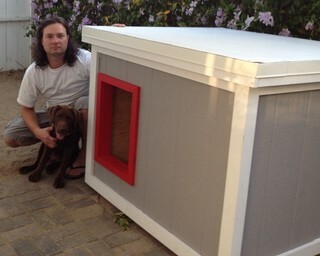 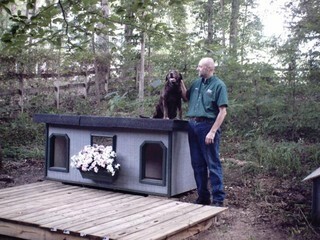 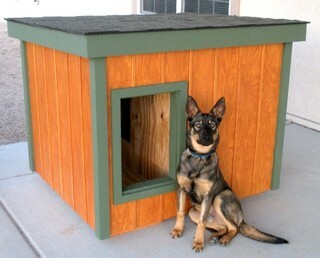 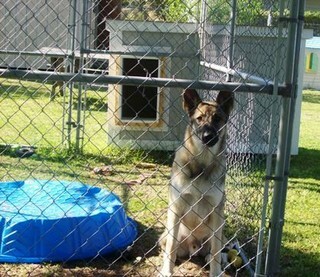 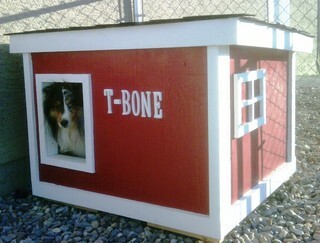 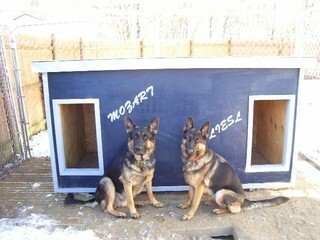 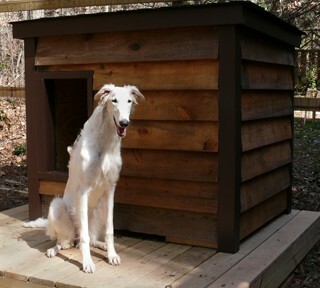 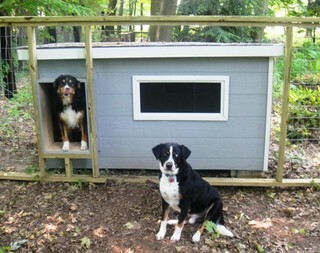 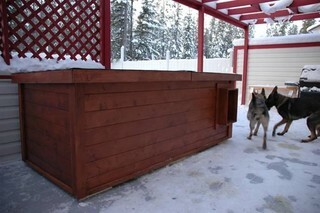 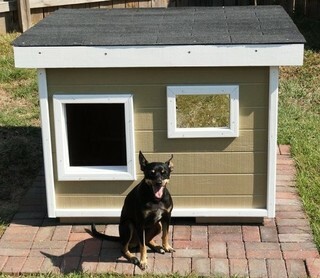 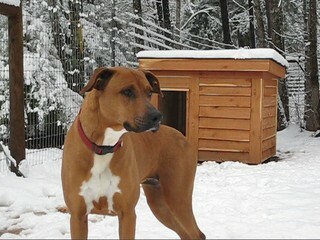 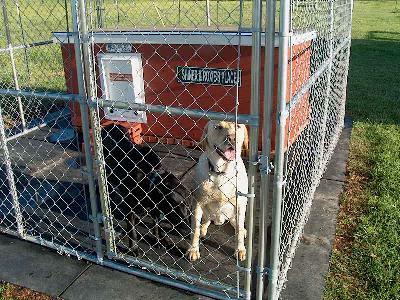 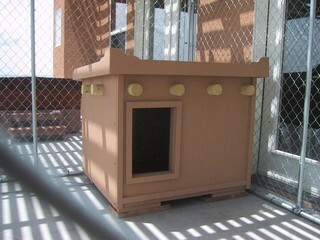 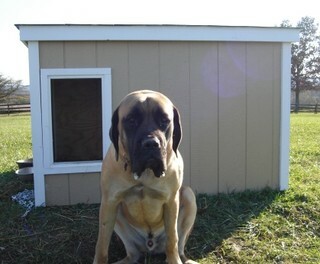 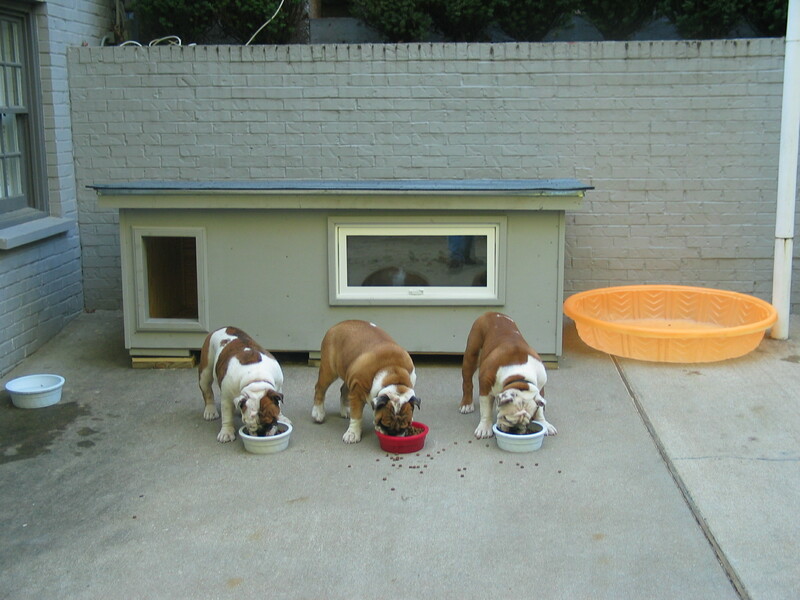 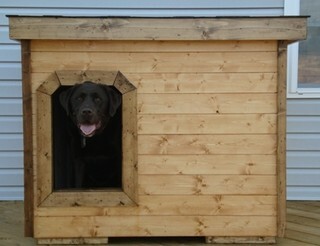 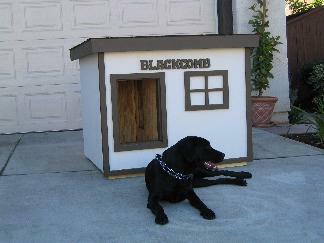 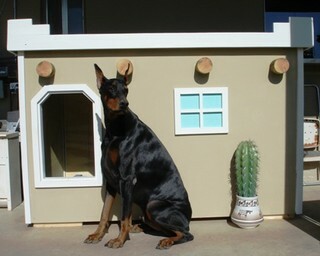 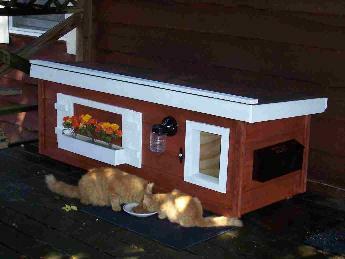 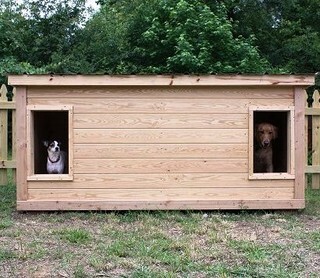 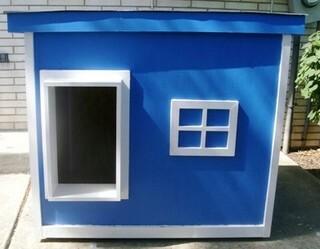 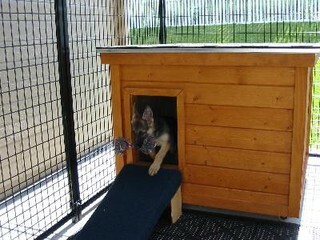 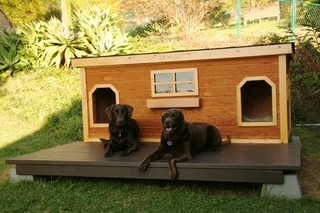 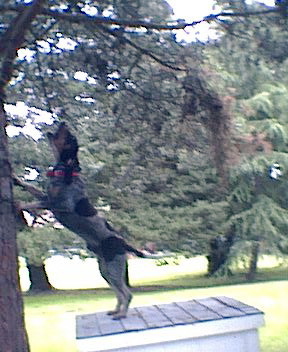 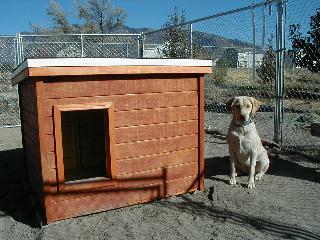 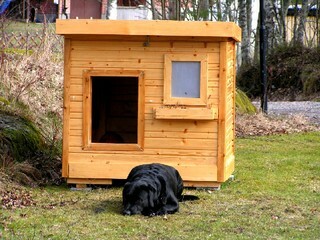 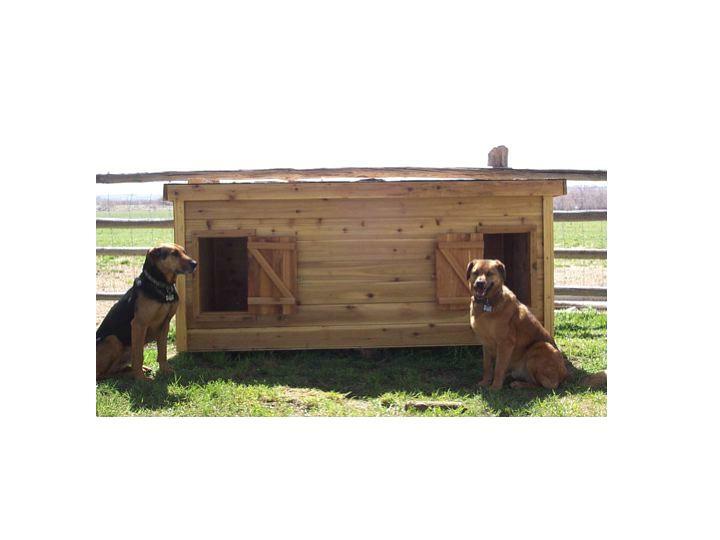 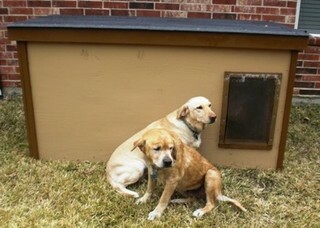 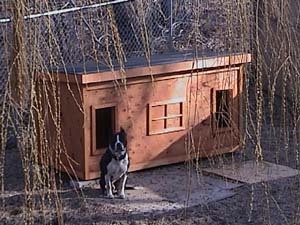 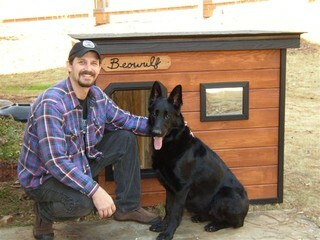 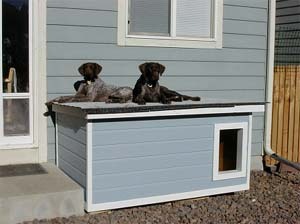 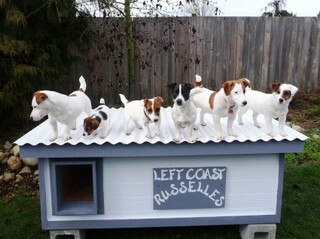 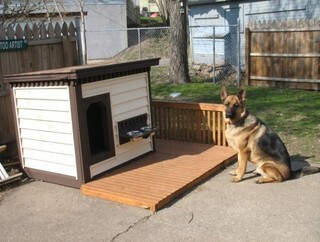 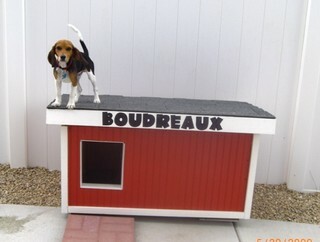 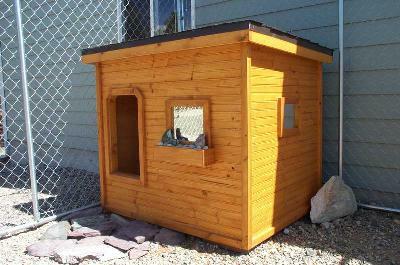 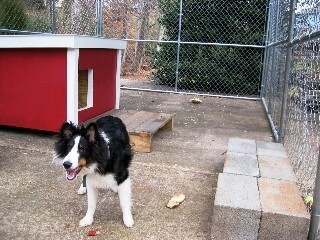 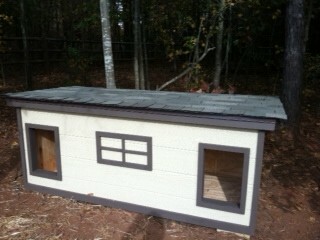 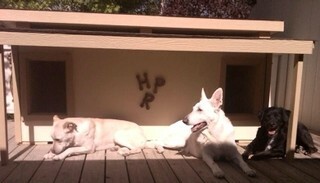 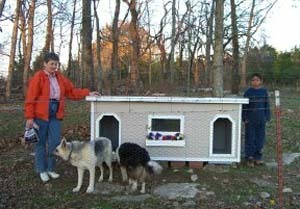 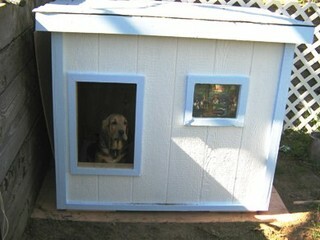 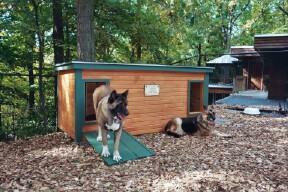 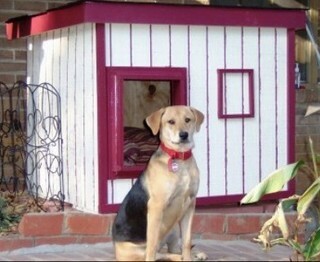 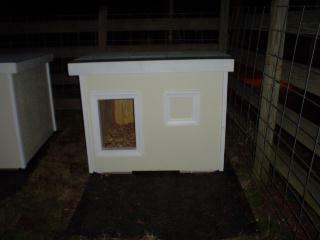 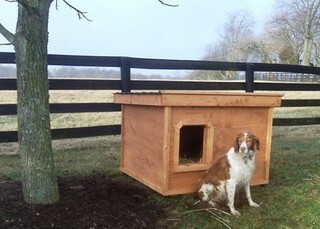 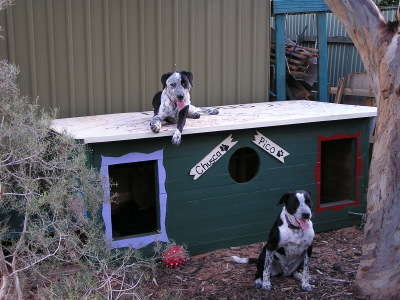 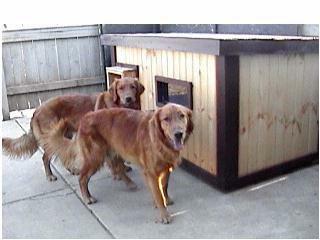 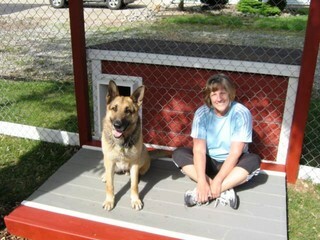 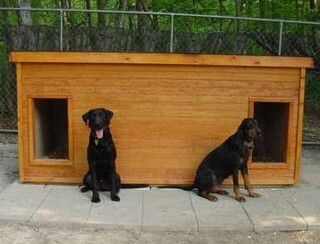 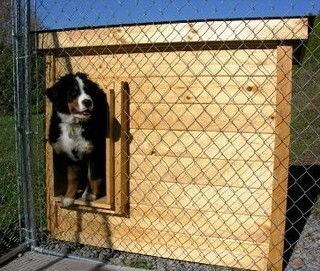 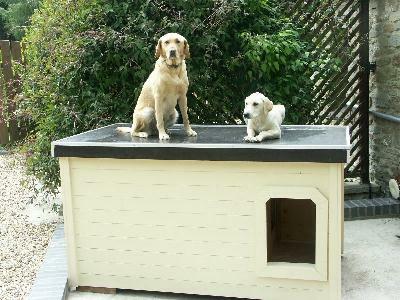 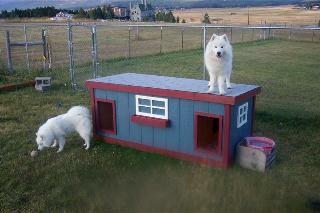 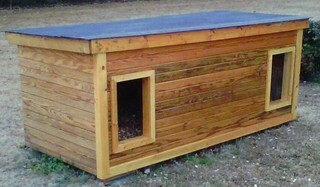 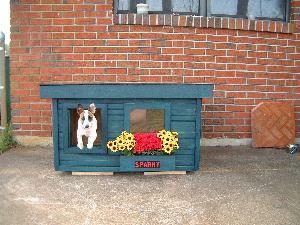 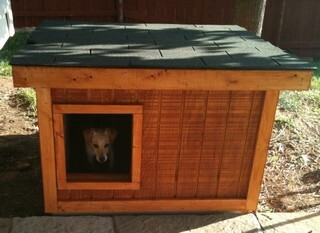 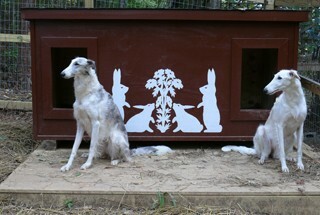 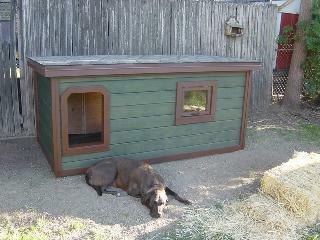 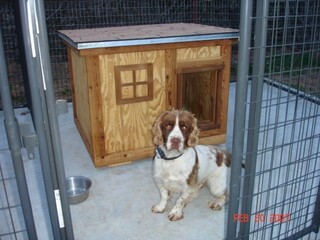 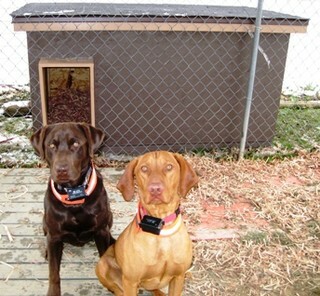 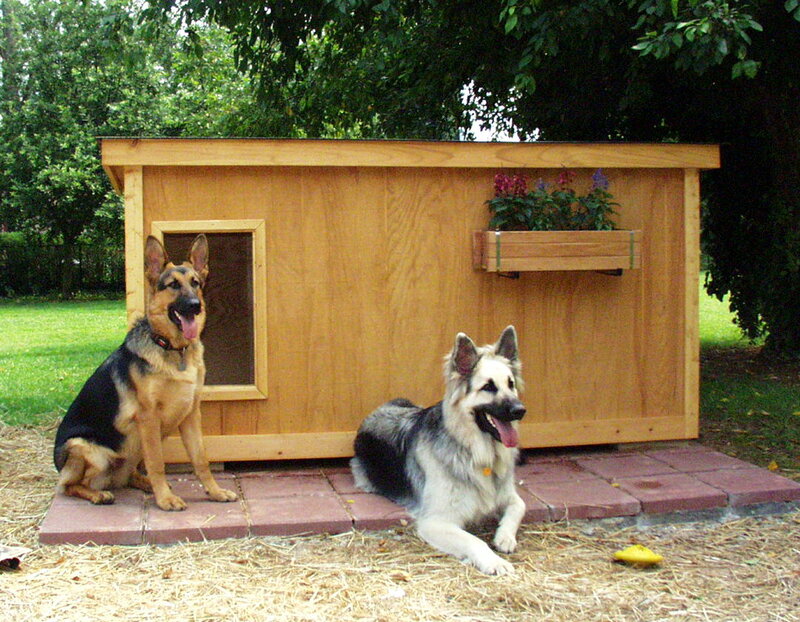 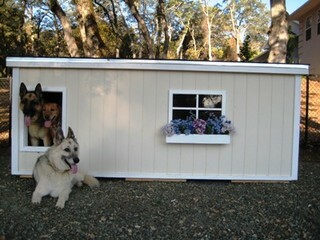 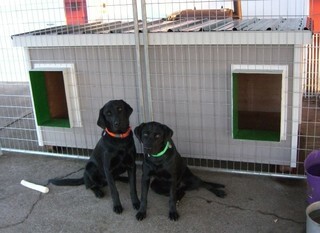 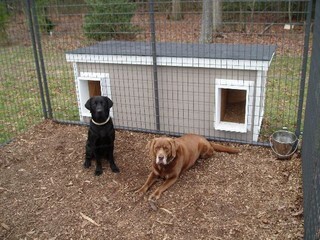 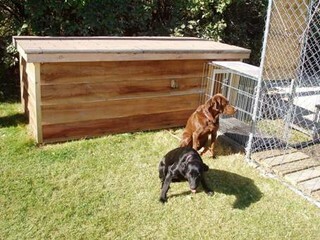 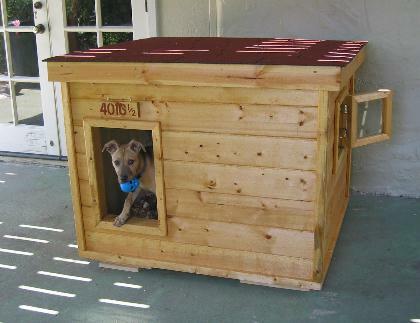 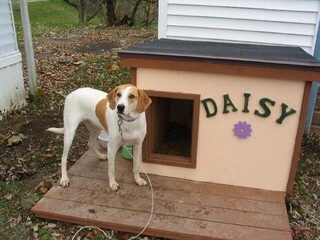 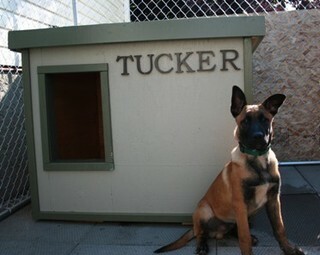 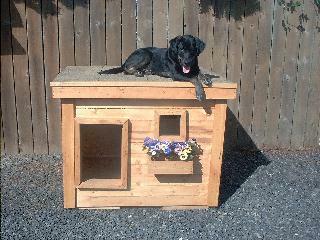 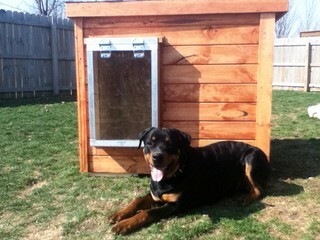 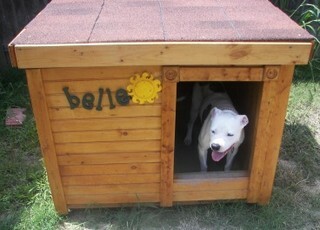 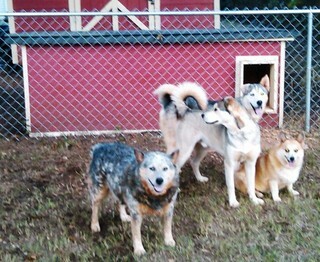 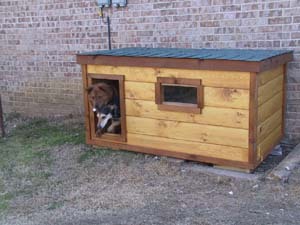 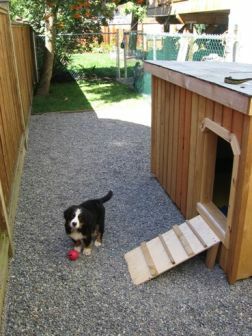 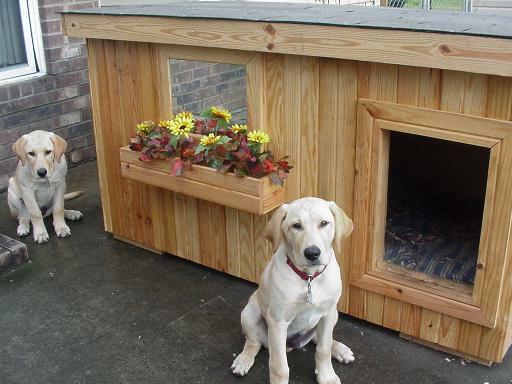 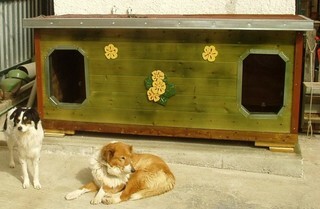 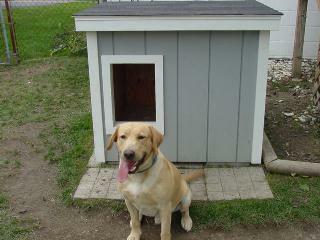 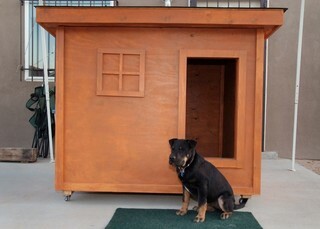 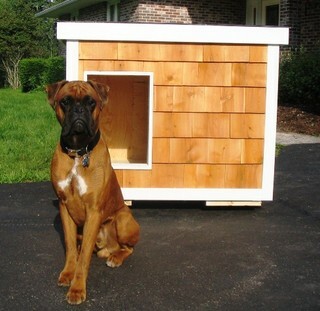 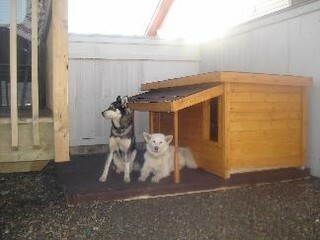 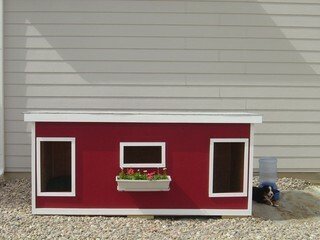 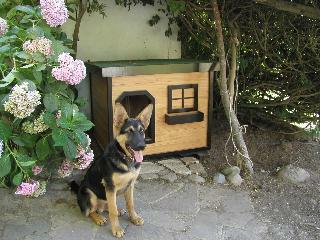 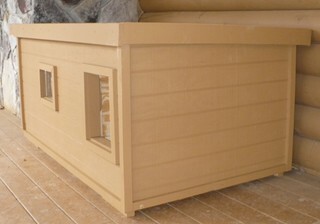 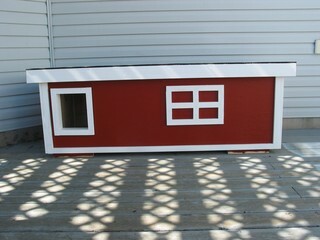 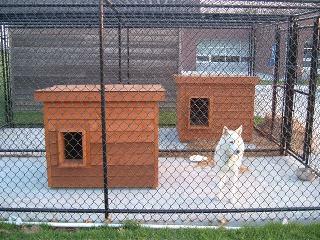 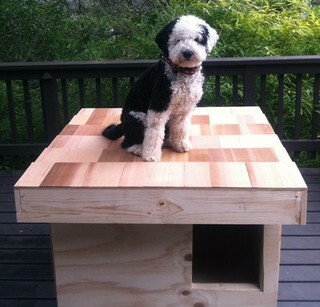 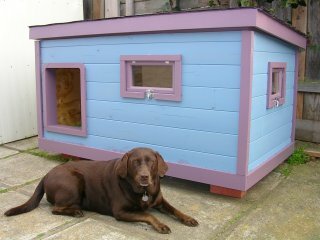 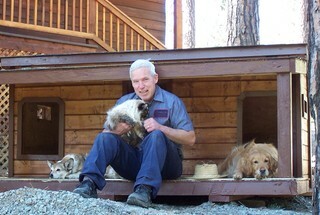 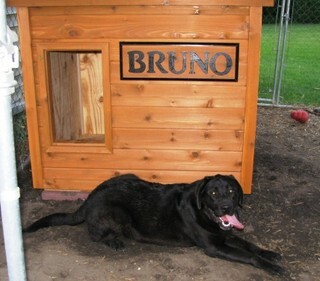 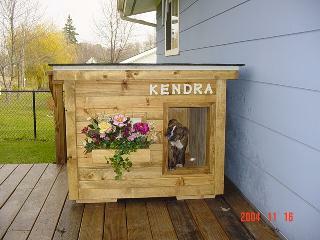 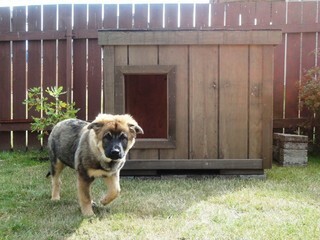 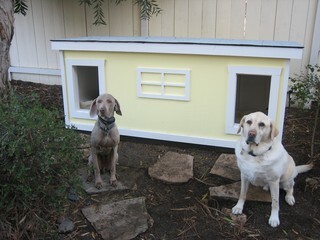 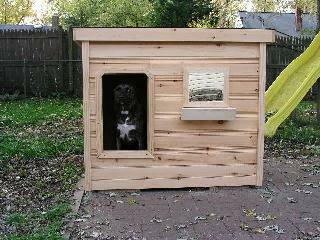 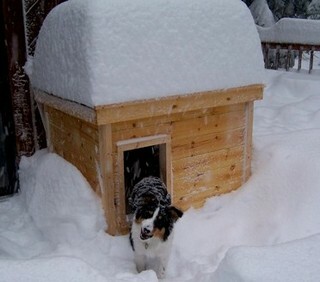 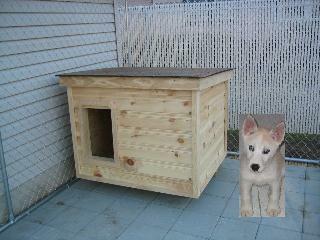 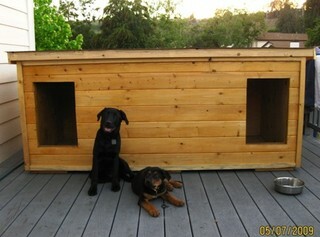 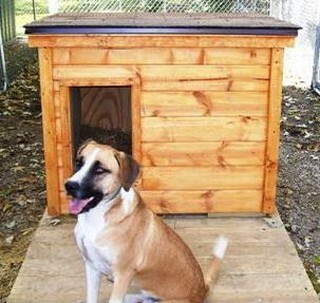 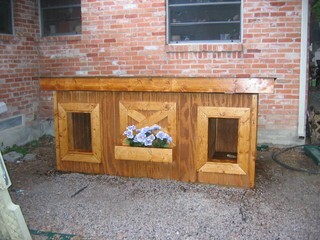 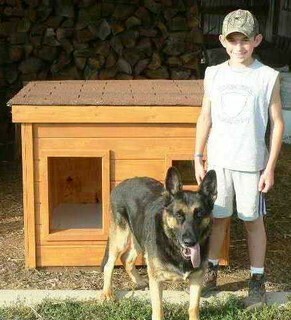 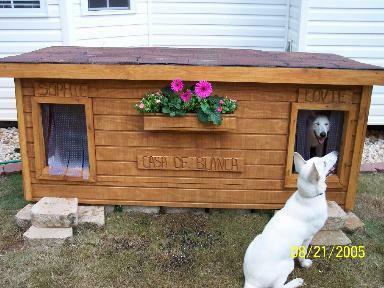 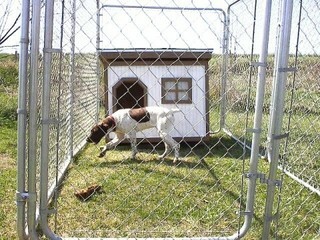 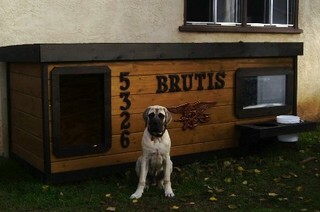 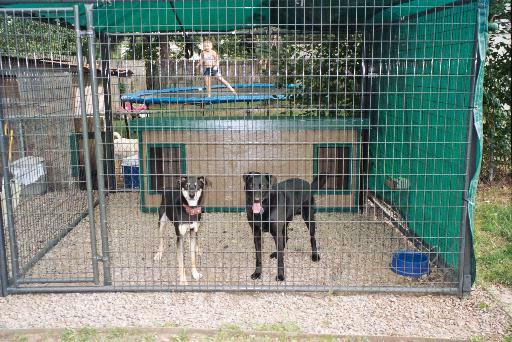 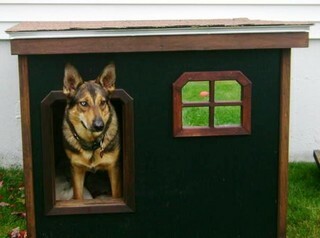 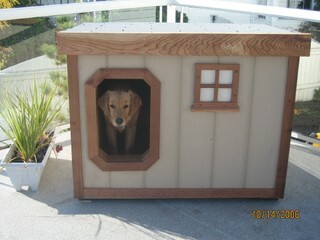 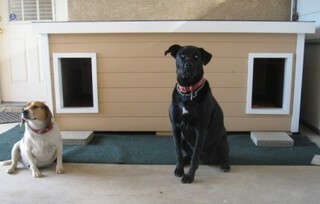 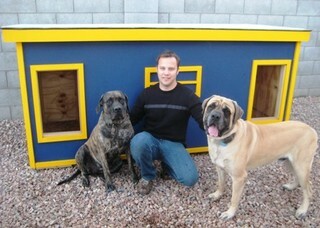 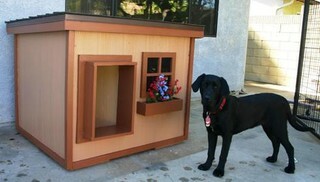 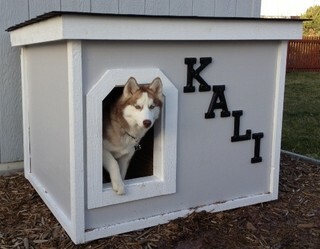 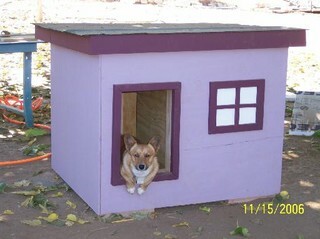 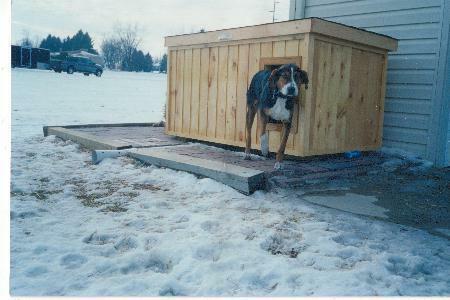 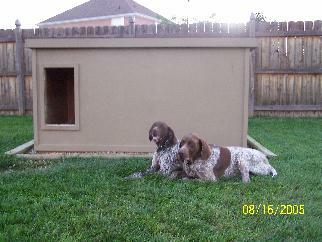 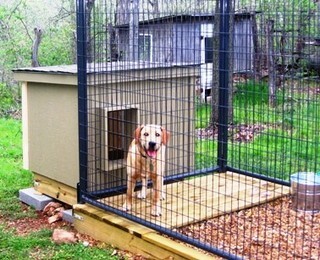 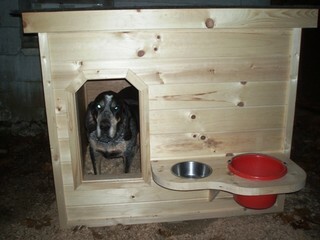 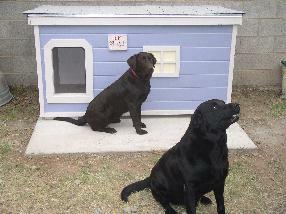 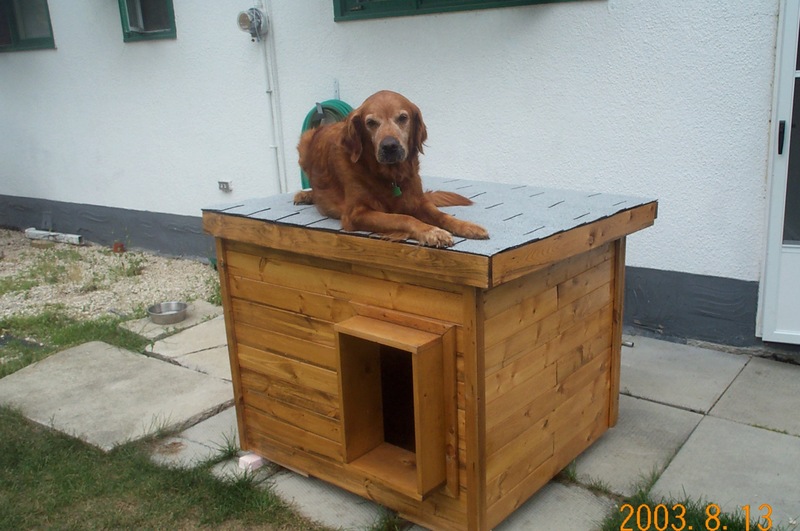 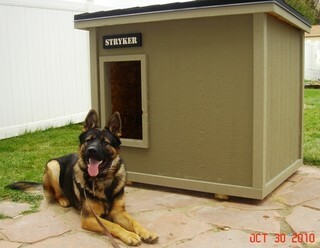 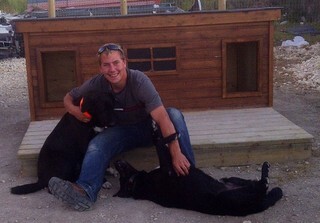 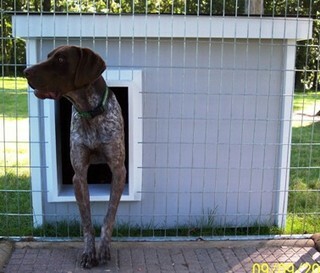 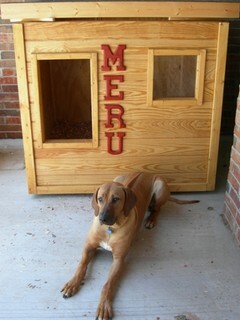 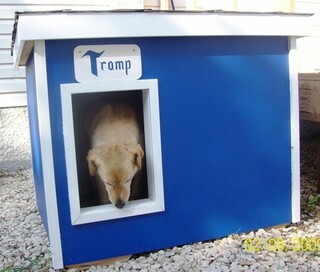 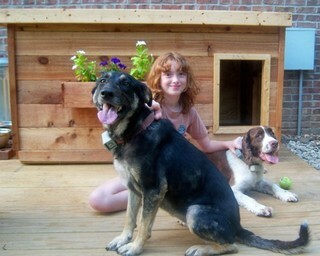 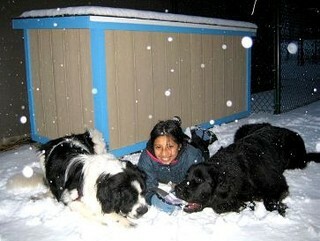 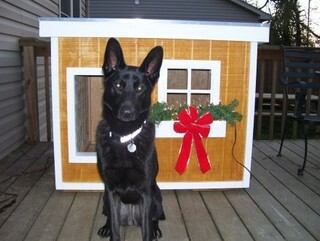 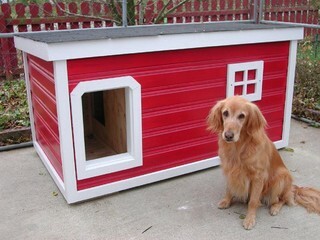 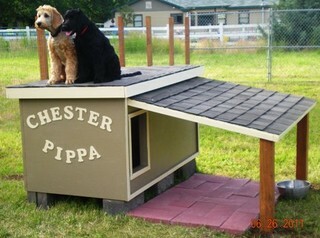 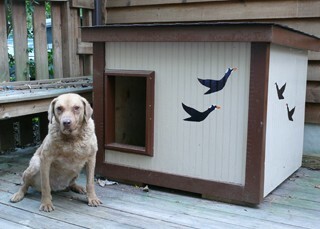 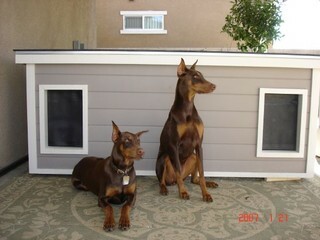 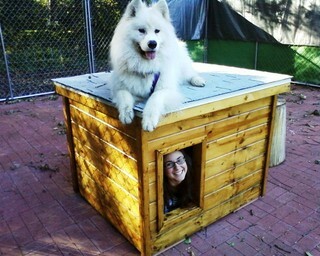 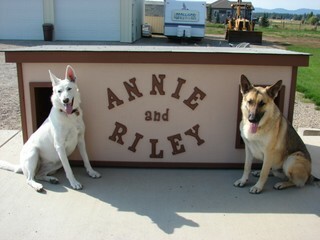 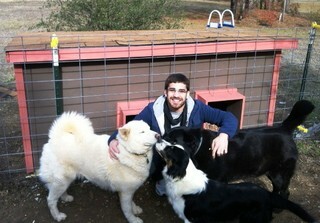 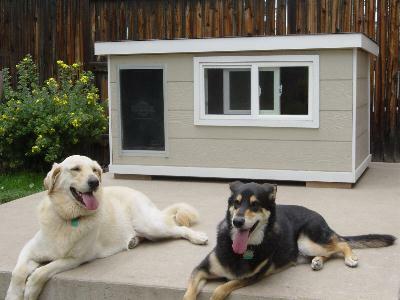 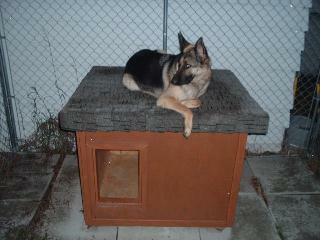 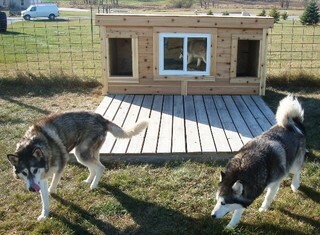 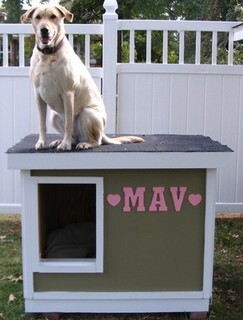 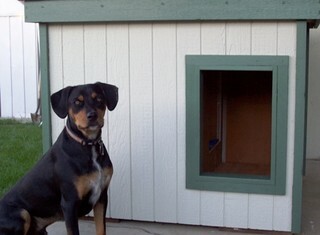 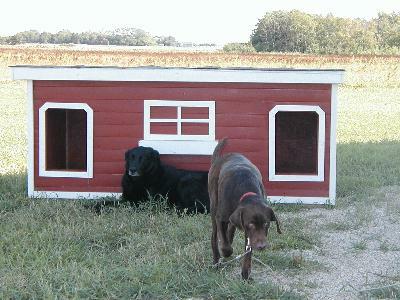 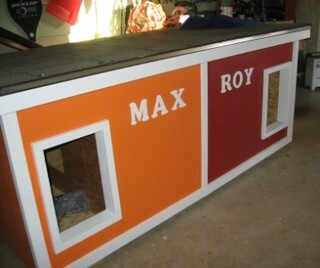 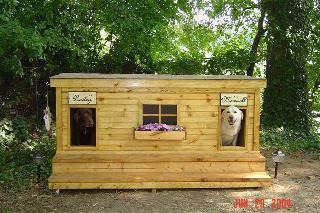 We hope you enjoying seeing their dog houses with their beautiful dogs. 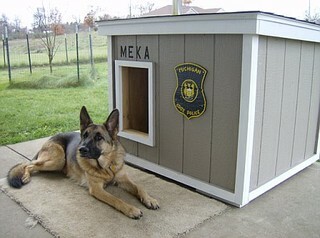 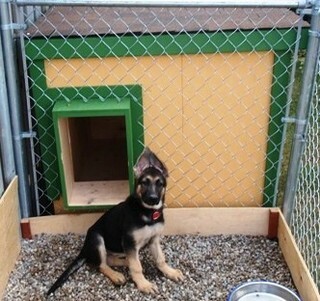 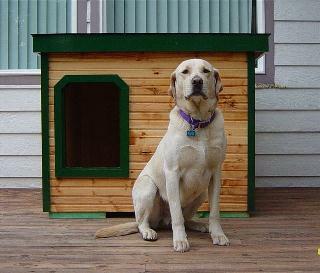 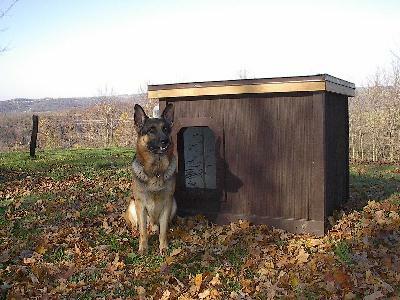 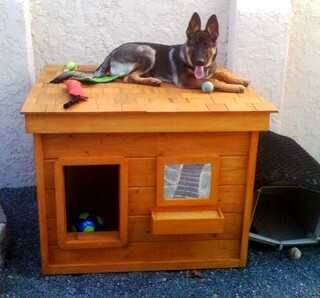 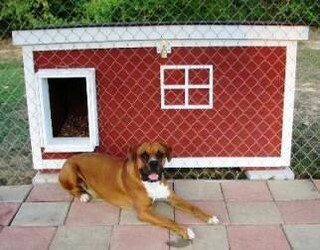 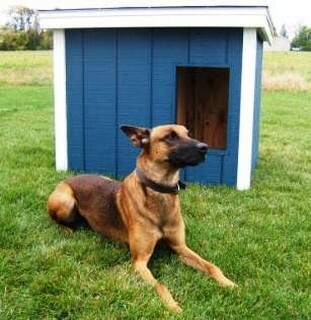 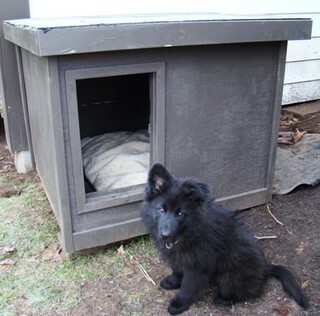 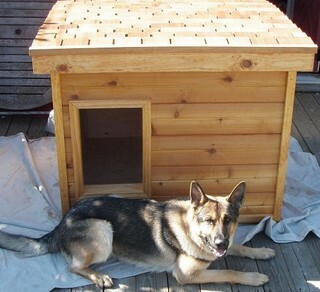 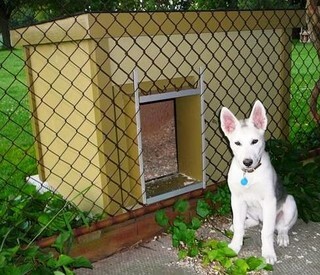 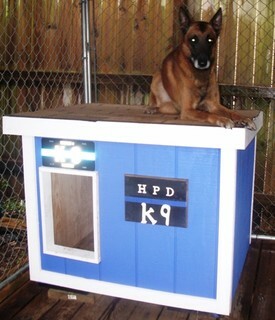 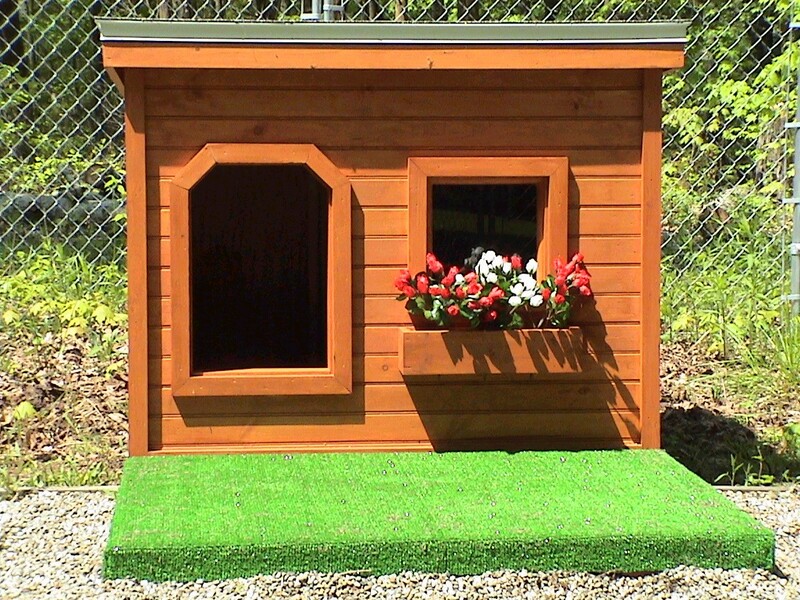 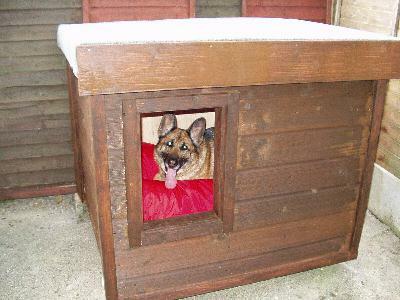 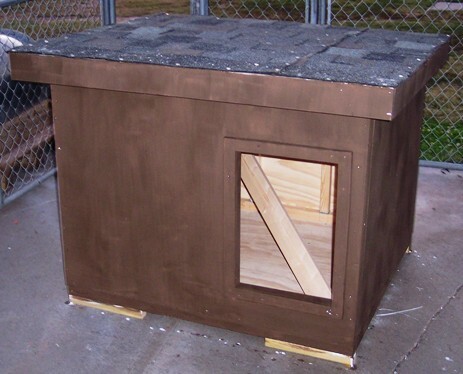 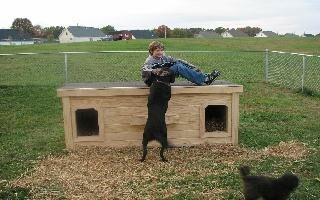 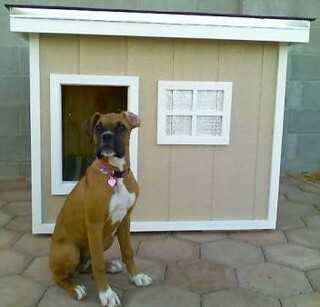 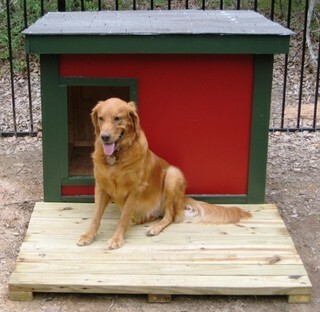 If you have purchased our Police Dog House Plans, and have completed building your dog house, please feel free to email us a picture of your dog house, with your dog or dogs, and we will be happy to post it here. 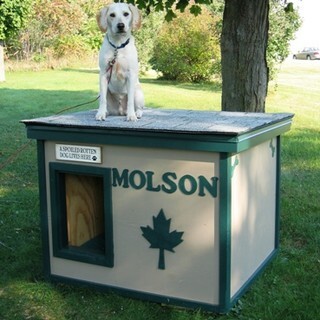 Please provide your dog's name and the state, province, or country where you are located.